Ricotta is an Italian curd cheese; a light, fresh variety that partners well with salty cured hams, fresh figs and honey. Its delicate, creamy flavour makes it ideal for both savoury and sweet dishes, from classic spinach and ricotta ravioli and ricotta salads, to desserts such as cannoli and Neapolitan pastiera. 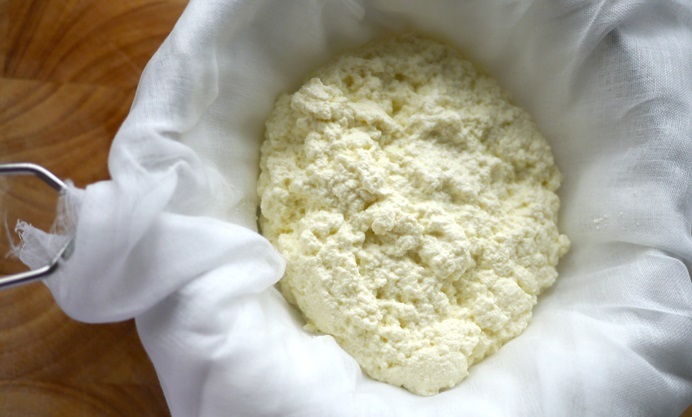 Ricotta is traditionally made from leftover whey, a by-product of making other cheeses such as Pecorino. It is easy to make at home – by replacing the leftover whey with milk - and contains just two ingredients: milk and acid, plus any flavourings you wish to add, such as salt or herbs. 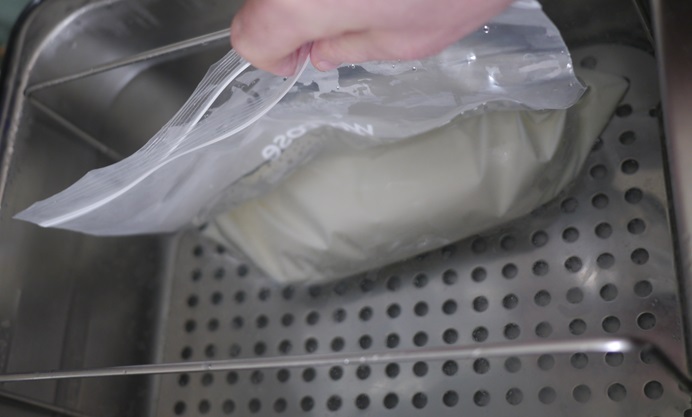 After heating the milk, the vinegar is added and the mixture is cooked until the curds have separated. It is then a simple matter of collecting the curds and straining them through muslin. 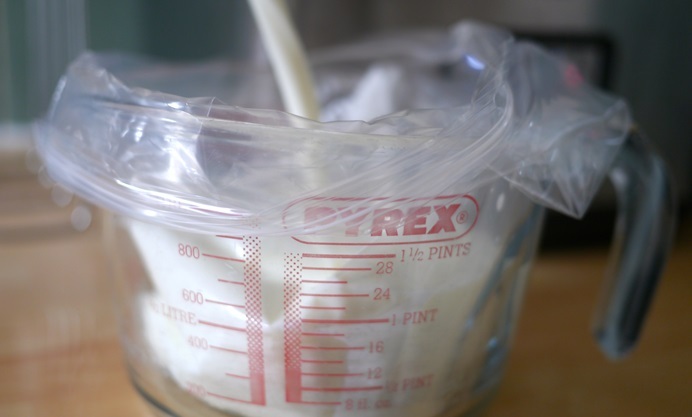 Using a water bath to make fresh ricotta is fuss and mess-free, and produces consistent, stable results. 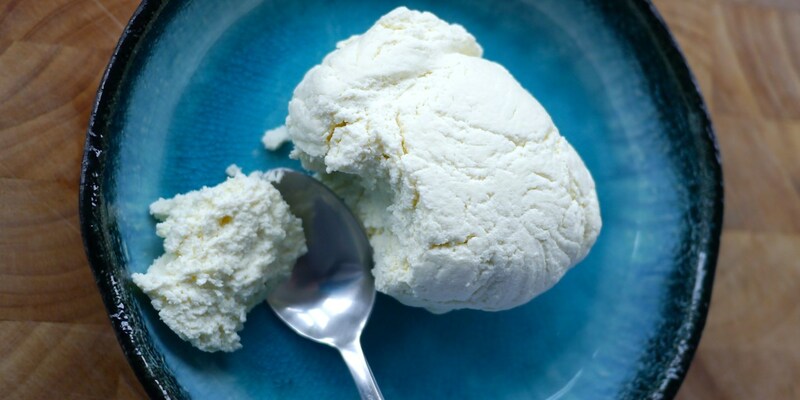 Once made, the ricotta is best eaten on the day, but can be stored in the fridge for up to a week. 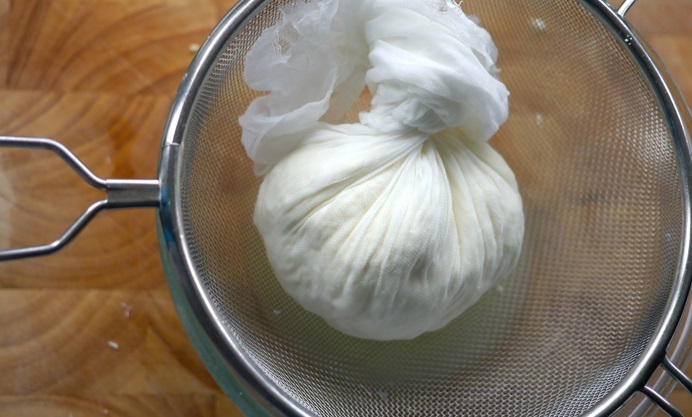 If you don't have access to sous vide equipment you can still make ricotta at home with our alternative guide. Frances Atkins uses ricotta as part of a cake and serves with a red grapefruit and mango press, Dominic Chapman uses it to stuff courgette flowers while Francesco Mazzei uses it in his very challenging but delicious Lasagne pastachina.